US citizens do not need a visa for tourist or business travel to this country, but a valid US Passport is required. International Certificate of Vaccination for Yellow Fever if arriving from an infected area within 5 Days. Tourists from any country in the world do not require a visa to stay in Ecuador for up to 3 months, with the exception of the citizens of the following countries: Algeria, Bangladesh, China, Costa Rica, Cuba, El Salvador, Guatemala, Honduras, India, Iraq, Iran, Jordan, North Korea, South Korea, Lebanon, Libya, Nigeria, Pakistan, Palestine, Syria, Sri Lanka, Sudan, Tunisia, Venezuela, Vietnam, Yemen, and members of the Sikh Sect. A visa is required for all US Official and Diplomatic Passport holders. A valid, signed US passport. The passport must have at least 6 months remaining after the completion of your stay in Ecuador, and contain at least one blank visa page. Copy of round trip ticket or flight itinerary. Police certificate indicating that there is no record. An invitation, which indicates the participation of the applicant in a programmed event if applicable. In addition to the standard Iratex fees, the following consular fees apply: $200.00 per visa, plus a $30.00 application fee. 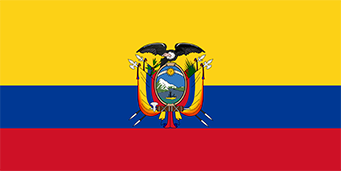 The Ecuador Tourist or Business visa is usually valid for ninety days from date of issue, for a period of stay in Ecuador not to exceed 90 days.